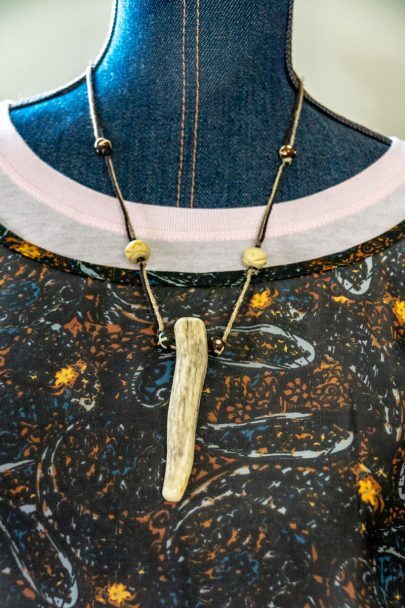 This Mystic Antler deer antler tip pendant features a 3 inch hand cut and polished deer antler tip securely attached on an 11 inches in-length black and brown necklace cord with a 1/4 inch lobster claw on a 2 inch metal chain clasp for the necklace closure. 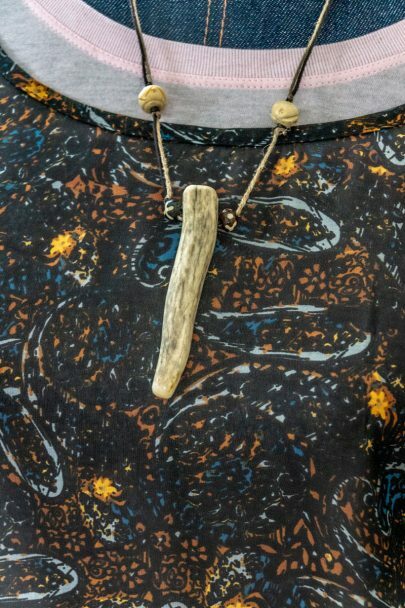 The antler necklace is embellished with engraved wooden beads. The necklace is a fixed 11 inches in-length. Comfortably fits most neck sizes. The necklace closure is a 1/4 inch lobster claw on a 2-inch metal chain clasp. Antler tip pendant has a hole drilled through it to securely attached to a black and brown hemp cord. 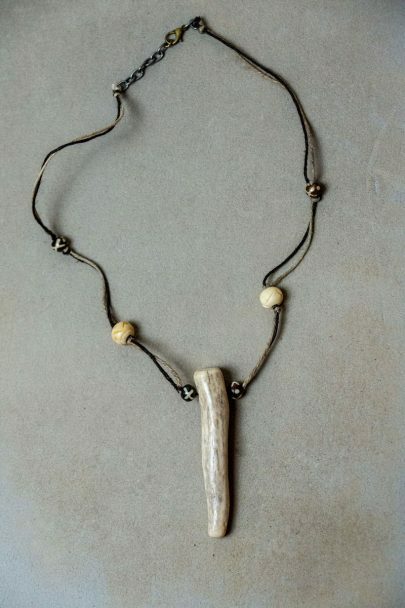 Each antler tip hangs securely from an affixed black and brown hemp cord.